We had a very special visitor in our office on Friday. Josh, his teddy Scout and his parents came in with a €500 cheque. This money was fundraised at Ablefest, a music festival his Dad and their friends put together this summer, for people and families with disabilities. It sounded like so much fun and we can’t wait to go next year. 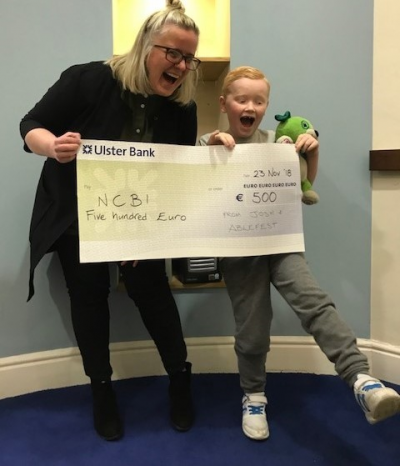 Thank you Josh, Kevin, Christina and all your friends who helped fundraise for NCBI.